To achieve Walkers are Welcome Status for the Kirkburton Parish, we have to collect 500 signatures in support of the initiative. To add your name to the petition, please fill in the form below and click SUBMIT. 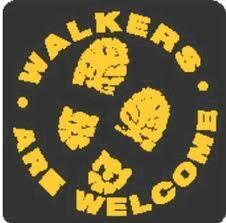 (All information is kept securely and in confidence) To find out more about what Walkers are Welcome Status is about, click on www.walkersarewelcome.org.uk.